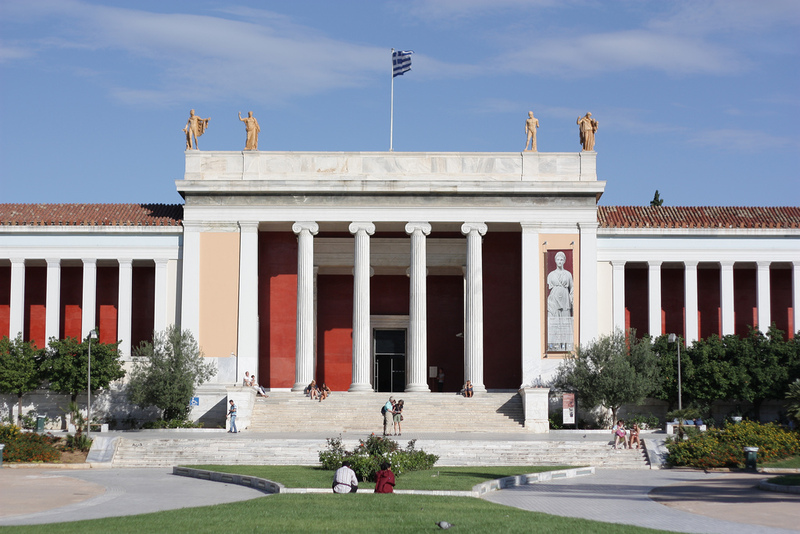 The largest of Athens' many museums, National Archaeological Museum houses a vast collection of ancient artifacts unearthed from a variety of excavation sites around Greece. The museum's world-famous Mycenaean collection includes the 19th century finds by archaeologist Heinrich Schliemann, featuring golden funerary masks, relief stelae, alabaster tools, ivory carvings, and jewelry. The museum also displays a staggering array of ancient figurines, frescoes from the volcanic island of Santorini, and the oldest known mechanical computer, designed to predict astronomical positions and eclipses. There's so much to see here, it may take you several visits to absorb it all. Make your trip through ancient history a bit more comprehensible by arranging for a guided tour of the museum's most representative exhibits. National Archaeological Museum is just one of the many highlights you can arrange to see using our international travel planner, Athens Edition. If you like Greek art you will enjoy the visit. There are objects of all historical epochs, some very well known. You can not leave Athens without visiting the Acropolis and see the Archeological Museum, as a minimum. They are a must for culture in history. In addition it is very well and has enough guiding a tour so you don't miss anything. The museum was a wonder! It is so large. You need at least 2.5 hrs to go through it. If you want to take your time and enjoy the experience, make it a half day trip or longer. Everywhere you turned there would be a new room! Try to go through the exhibit at their starting entrance, usually the exhibit is in chronological order. The size of some of the artifacts are astounding! Must see when visiting Athens. Be careful around the museum, it isn't the safest part of town, but don't let that stop you from visiting! A wonderful museum to learn more about the history of Athens beyond the Acropolis! The layout is well structured to focus on different types of art and time periods so you can selectively chose the ones that you're interested in. The in-depth informational displays provide great details and context so you can understand the pieces that you're looking at. This museum is open until 8pm in the summer but I would recommend visiting in the mid-afternoon to escape the heat.